With qualification to the knockout rounds not possible, Nagelsmann made 11 changes from Hoffenheim's previous Europa League encounter with Braga. But it didn’t seem to be a problem for the Sinsheim club, who took the lead through Philipp Ochs’ first goal in the competition. Ludogorets needed just a point to qualify from Group C, and the Bulgarians got what they came for through Wanderson’s goal just after the hour mark. Substitute Claudiu Keserü was sent off after a late foul on Ermin Bicakcic, but Nagelsmann’s side couldn’t make their numerical advantage count. 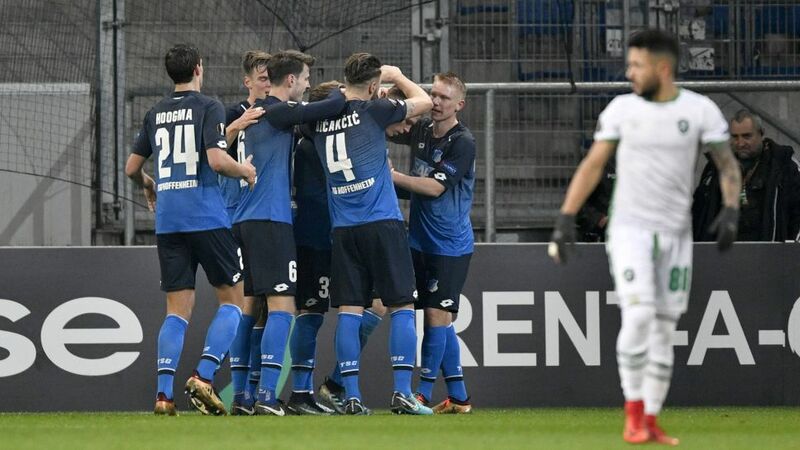 Nagelsmann’s team secured their first ever European victory on Matchday 3, beating Basaksehir 3-1 at the WIRSOL Rhein-Neckar-Arena.Pavel Kaderabek gave Hoffenheim the lead in the reverse fixture, but second-half strikes from Svetoslav Dyakov and Jody Lukoki secured the three points for Ludogorets in their first ever encounter with German opposition.Hoffenheim have scored in all eight of their European games so far this season.However, their win over Leipzig was only their second victory in their last nine league outings.Gnabry's goals at the WIRSOL Rhein-Neckar-Arena on Saturday were his first in a Hoffenheim shirt.Ludogorets had kept clean sheets in their previous four UEFA Europa League matches outside Bulgaria before tonight's 1-1 draw. Head here for more Hoffenheim news and features!